Treatment - Turpin Chiropractic P.C.Turpin Chiropractic P.C. Spinal Disc Decompression Therapy ( DTS ) is a leading non-surgical alternative for disc related syndromes of the lumber and cervical spine. DTS Therapy uses simple, yet sophisticated, FDA registered equipment manufactured in the United States. The TRITON DTS Long Axis Decompression System is the most utilized decompression system with over 2,500 installations nationwide. The gentle distractive forces of the Triton DTS creates axial distraction forces to unload the spine and create proper positioning, to improve blood flow and hydration of the disc encouraging important nutrient exchange to the injured area. 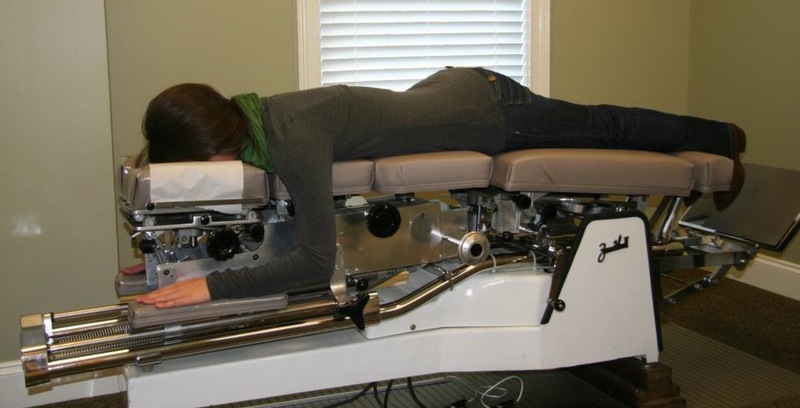 Your comfort and safety are of primary importance during DTS Spinal Decompression Therapy. Only if you’re 100% comfortable will you be able to achieve the ultimate objective of complete rehabilitation of your discs and spine. During DTS Therapy, you’ll experience several cycles of stretch and relaxation, which gently graduates to a peak over a period of several minutes. Therapy sessions typically last approximately 30 minutes, and most patients feel pain relief in as few as 4-6 treatments. It is important to remember, however, that pain subsiding does not infer that your discs or spine are healed, so it is critical that patients stick to the treatment protocol prescribed by their practitioner in order to achieve the full value of DTS Therapy.